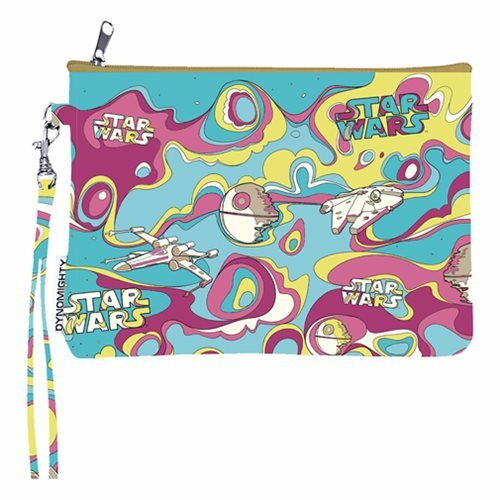 Accessorize with this Star Wars Psychedelic Mighty Wallet Wristlet Purse! The wristlet has one large zip pocket with smaller inner pockets and a wrist strap for easy carrying. Made of slim but durable Tyvek, a series of interlocking plastic fibers spun in random patterns to provide strength and resist water and tears, it's expandable to suit your storage needs!